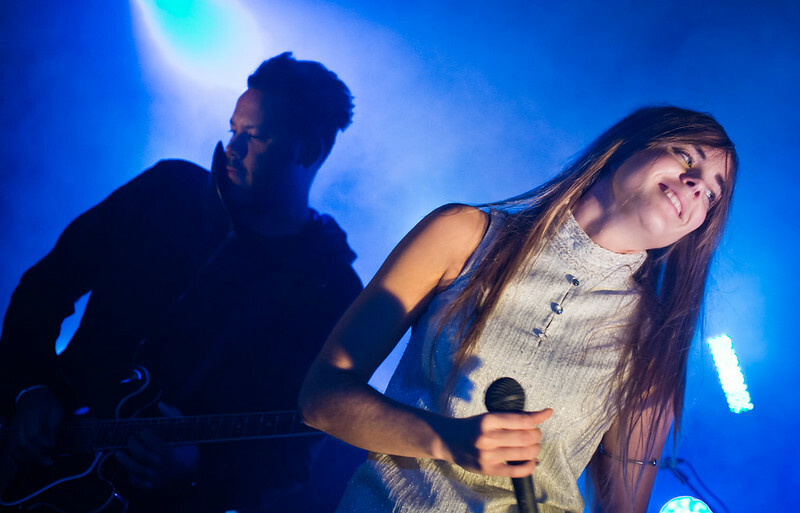 NONONO, the Swedish pop-trio, currently on tour with Twenty One Pilots, has just announced that they will next go tour with Foster the People beginning this August. They also have a coveted spot at this year's Lollapalooza in Chicago on August 3rd. This past year has been a whirlwind for NONONO. Their hit single "Pumpin Blood," released last year got the blogosphere talking which, in turn, got them featured in Billboard, TIME, Vogue, Elle, Glamour, NYLON and Harper's Bazaar. Now, less than a year since releasing their critically acclaimed EP Pumpin Blood, NONONO, consisting of Stina Wappling and the production duo of Astma and Rocwell, are set to release their full-length debut album We Are Only What We Feel on July 1st via Warner Bros. Records. Tomorrow, the band will play The Wiltern with Twenty One Pilots. NONONO performs "Pumpin Blood" at The Echo.